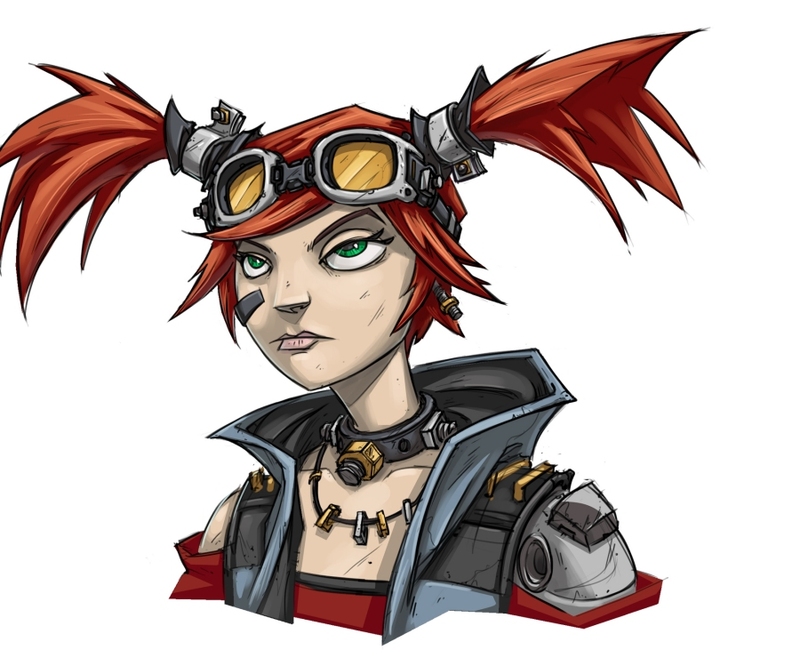 You may have heard about the new fifth class for Borderlands 2 called the Mechromancer. The class is all about controlling and manipulating robots using a robotic arm. 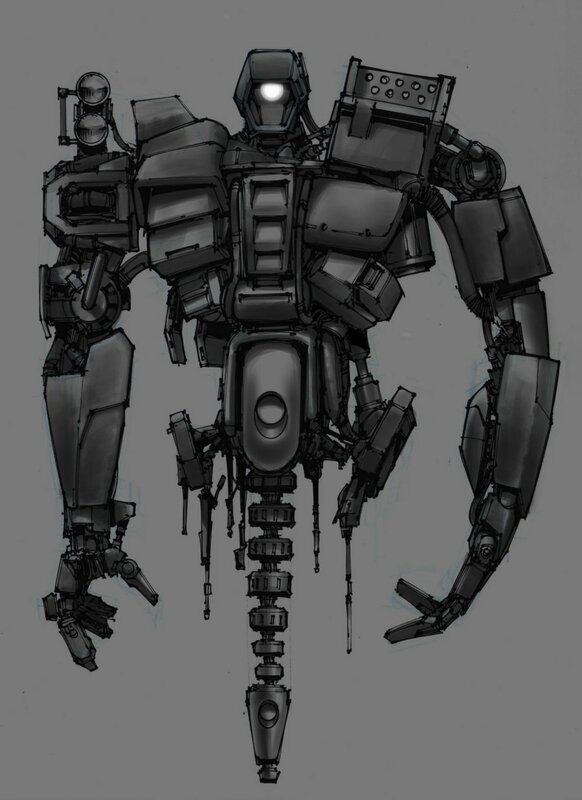 Well, new concept art was recently released for the character. 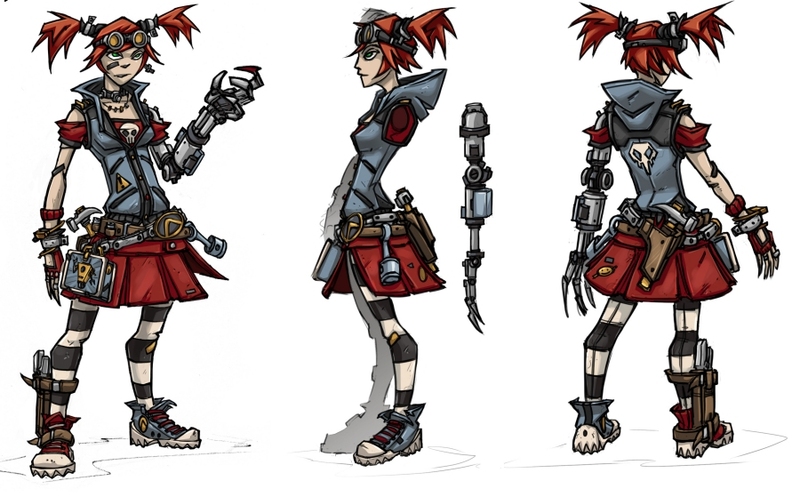 Dual Shockers landed the first set of conceptual screenshots for the Mechromancer and she looks a little bit like Lilith from the first game fused with a cyber-punk version of Lucca from Chrono Trigger. 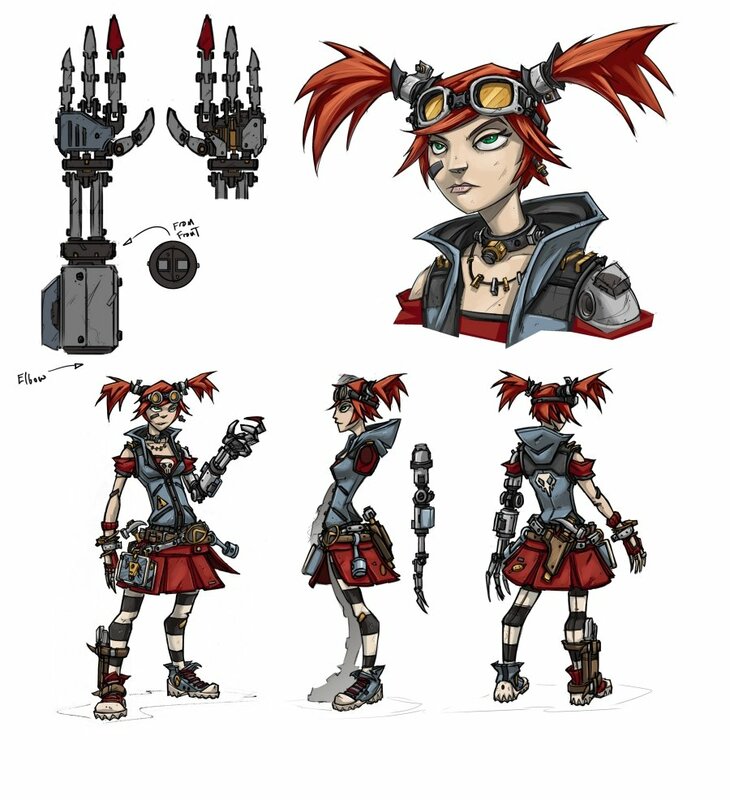 The character's spiffy robotic arm helps set her apart from the other playable characters in the game and the first look at her robotic sidekick, D347-TP also known as "Deathtrap", which is like a mix of the comical character Claptrap from the first game fused with a makeshift Terminator. As reported in the earlier story, Pitchford mentioned that the character is just in the concept stages right now and these concept pictures verify that. According to Randy Pitchford, president of Gearbox Software, this character won't see the light of day until well after the release of Borderlands 2. However, first-adopters have been guaranteed free access to the Mechromancer once she does become available. So there's an incentive for buying the game new. Additionally, those who own the first Borderlands will also receive special bonus skins and character heads in Borderlands 2. The second game is due out on September 18th for the Xbox 360, PS3 and PC. For more info feel free to visit the Official Website.